We use Anti-bacterial wipes, compressed air (when required), we remove dirt from your keyboard and will treat laptop and desktop computers. This cleaning service is discounted if purchased at the same time as PAT Testing. 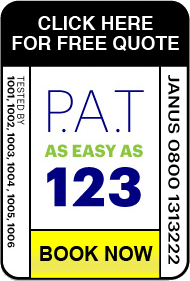 Phone, email for a quote or mention your interested when booking your PAT Testing. Still not sure that your workstation needs a clean? Just ask one of our highly skilled engineers when we’re on-site and we’ll be happy to show you how dirty one machine is.